Click image to enlarge Columbia Shores, Vancouver, Washington. Image taken August 30, 2017. Columbia Shores is a condominium/restaurant/office complex located on the Washington side of the Columbia River at River Mile (RM) 106.5, on a stretch of Columbia River lowlands once known as "Jolie Prairie". 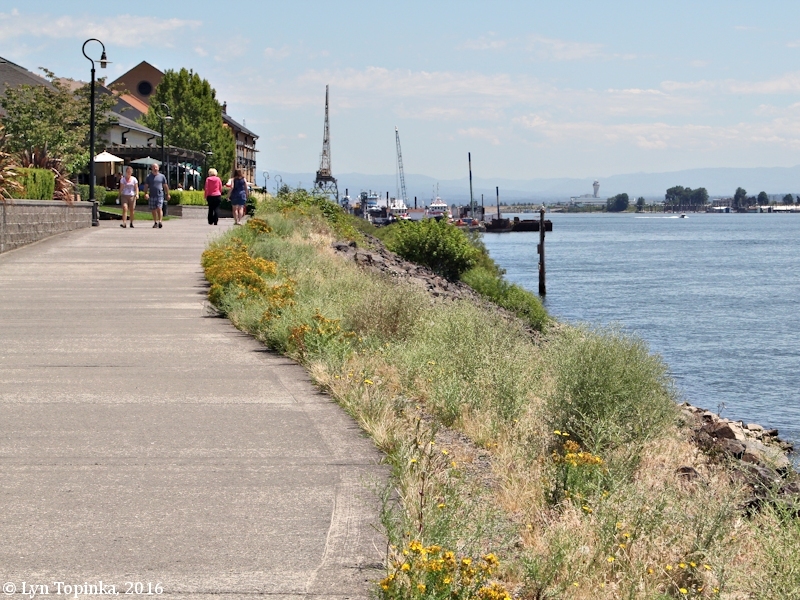 This area was once home to the World War II Kaiser Shipyard. 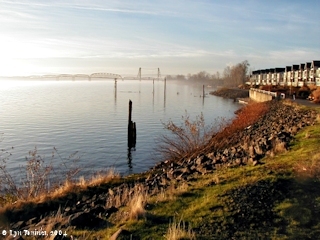 Downstream is the Interstate 5 Bridge linking Vancouver, Washington with Portland, Oregon. 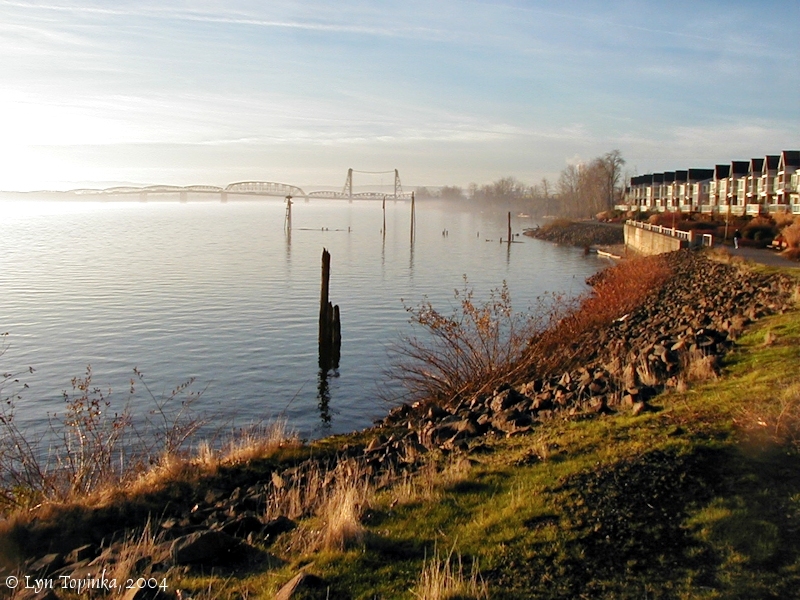 Upstream is Ryan Point, and inland is Fort Vancouver and Pearson Airpark. Across the Columbia is Hayden Island. 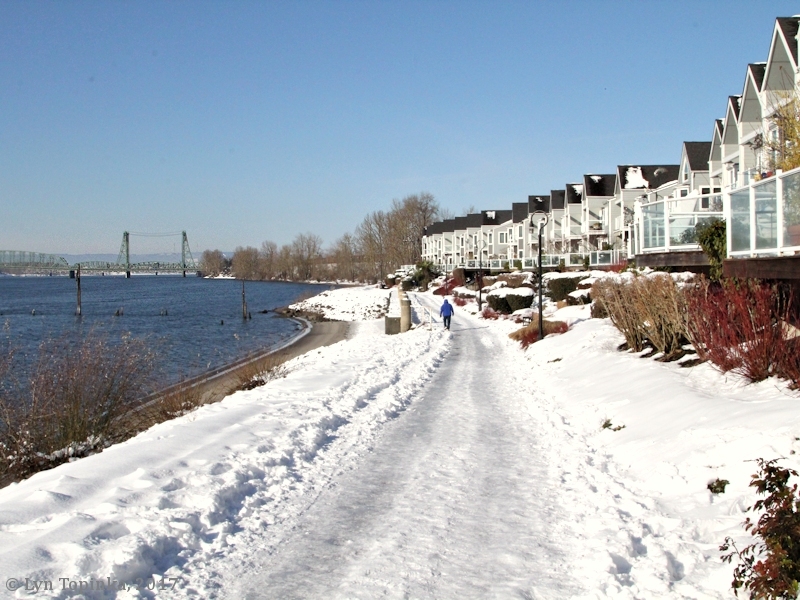 The trail along the river at Columbia Shores is part of Vancouver's Waterfront Renaissance Trail. Lewis and Clark spent the night of March 30, 1906, on this "beautifull prarie above a large pond". Lewis and Clark's campsite of March 30, 1806, was on the Washington side of the Columbia River on "a beautifull prarie above a large pond". The "large pond" was one of the many ponds which at one time dotted the "prarie". Throughout history this "prarie" has been known as "Jolie Prairie" and "Belle Vue Point" (not to be confused with Lieutenant Broughton's Belle Vue Point of 1792). This "prarie" is the location of today's Fort Vancouver, Pearson Field, and the condominium/restaurant/office complex of Columbia Shores. Lewis and Clark's previous campsite was at "Wapato Portage", another prairie near a Cathlapotle Village, today within the Ridgefield National Wildlife Refuge. Their camp of March 31, 1806, was at Cottonwood Beach, where they spent the next 6 days. Click image to enlarge Lewis and Clark's March 30, 1806 campsite, looking upstream. "Columbia Shores", Washington, with Mount Hood, Oregon. Image taken January 20, 2004. Click image to enlarge Campsite of March 30, 1806, as seen from downstream. Mount Hood, Oregon, is in the background. Image taken March 29, 2004. Click image to enlarge March 30, 1806 campsite, looking downstream. Condominiums, with the Interstate-5 Bridge just visible, connecting Vancouver, Washington (right) with Hayden Island, Oregon (left). Image taken January 20, 2004. 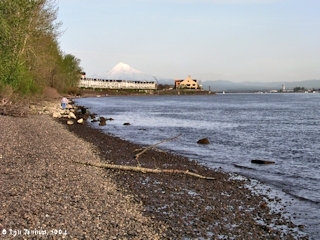 Click image to enlarge March 30, 1806 campsite, as seen from Oregon shores. 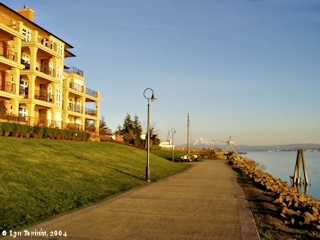 Condominiums on the Washington shore are visible. 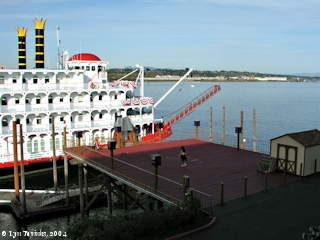 Cruise ship is "Empress of the North", docked at Hayden Island, Oregon. Image taken March 29, 2004. Click image to enlarge Columbia Shores Condominiums, Vancouver, Washington. 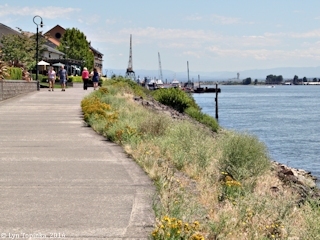 View from Hayden Island, Portland, Oregon. 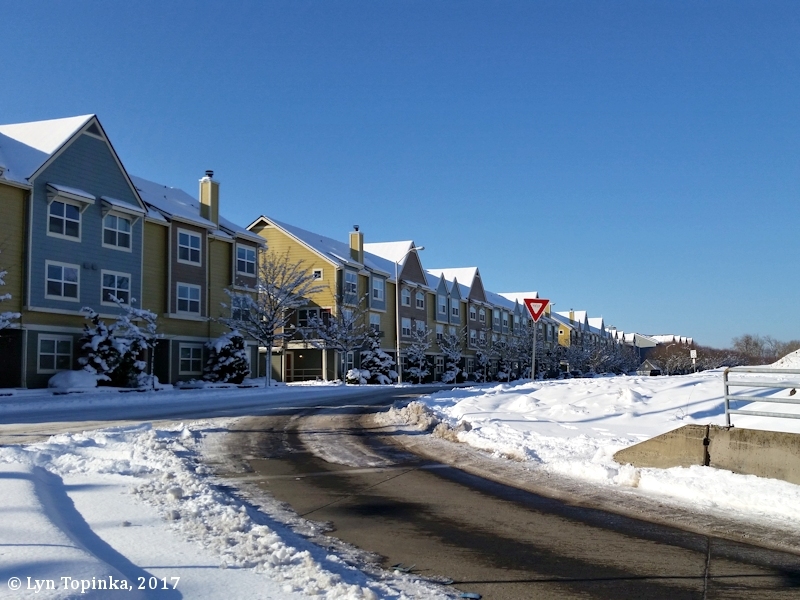 Image taken January 24, 2015. 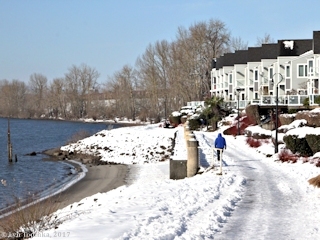 Click image to enlarge Condominiums, Columbia Shores, Vancouver, Washington. 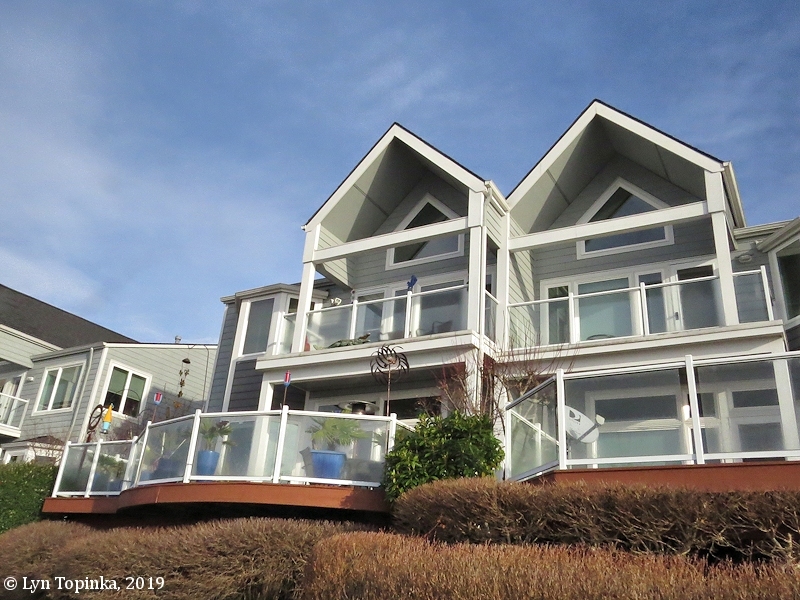 Image taken January 5, 2019. Click image to enlarge Alligator, Columbia Shores condominiums, Vancouver, Washington. 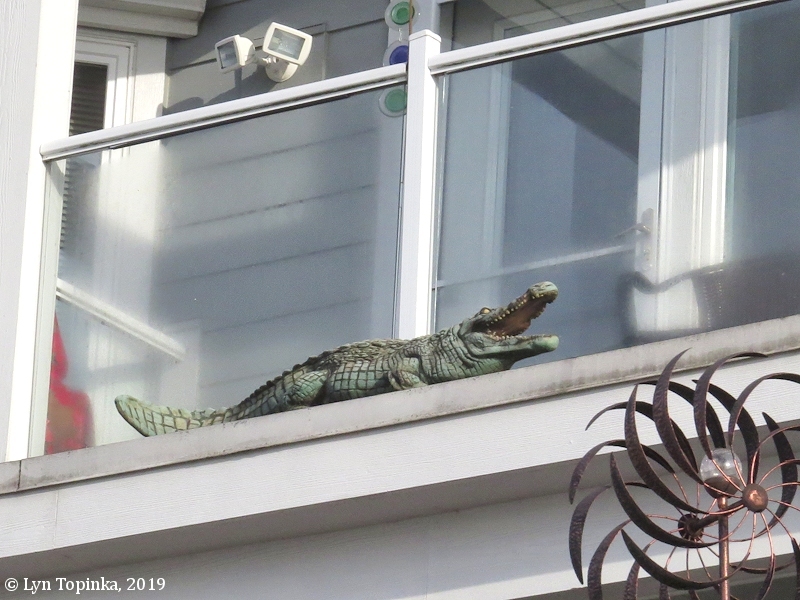 Image taken January 5, 2019. 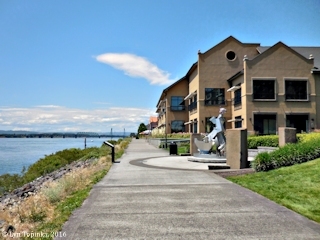 The seven-foot-tall 700-pounds bronze statue, created in 1994 by Eric Jensen, is located along Vancouver's Waterfront Renaissance Trail, west of the restaurants at Columbia Shores. 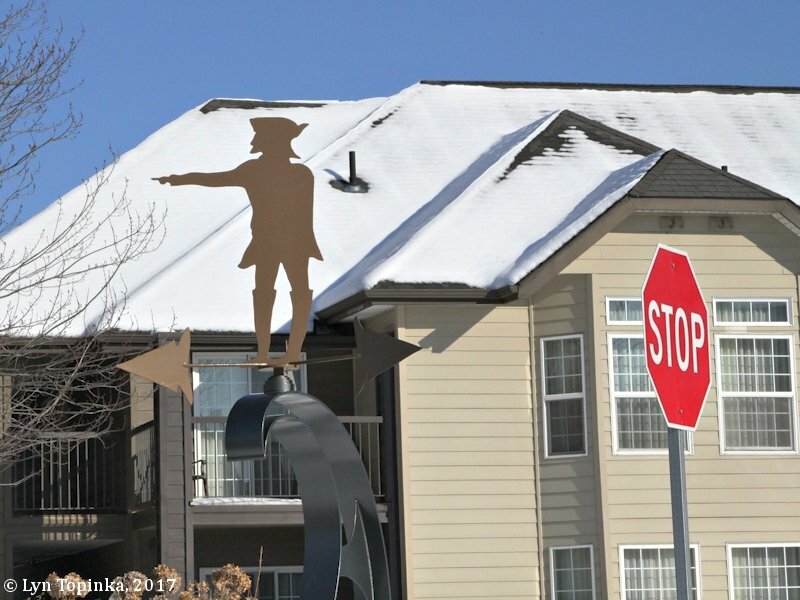 The bronze, and the small plaza in which it is located, honor the Chinook people. 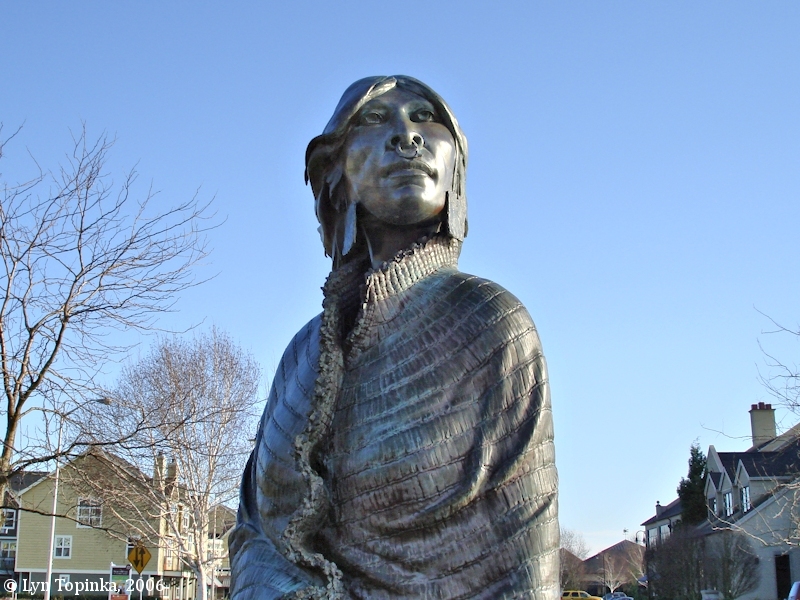 Ilchee, known as "Moon Girl", (also seen spelled as "Illche" and "Moon Woman") was the daughter of Chief Comcomly, the "one-eyed chief" of the Chinook Tribe, and befriender not only of Lewis and Clark, but also of the early settlement at Astoria. In 1811 Ilchee married Astorian Duncan McDougal, chief factor of John Jacob Astor's Pacific Fur Company, and later married Chief Casino (often seen as "Casanov"), a high ranking chief of the Chinook Tribe after Chief Comcomly.
" ... it wasn’t that long ago, during WWII, that this area was a bustling, bristling wartime manufacturing area. 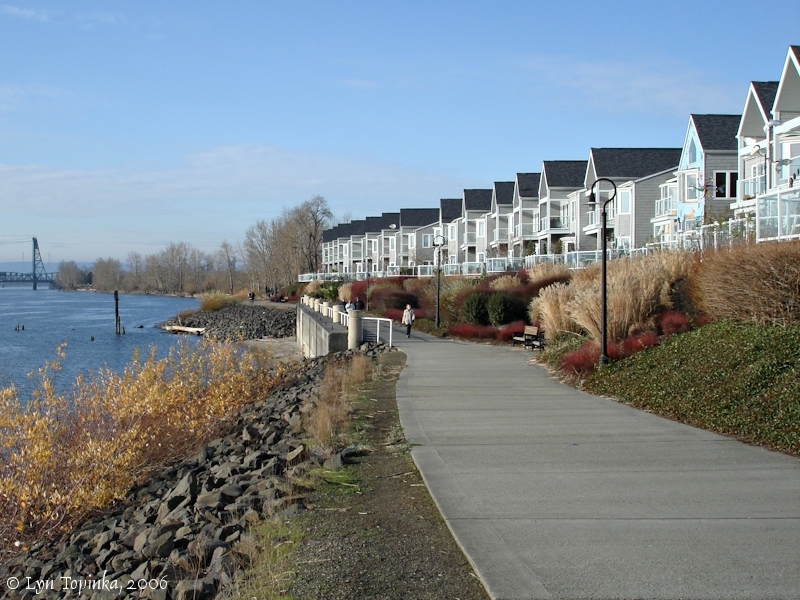 One of the famous Kaiser Shipyards was located at this very spot ... there were berths for upwards of 18 ships at a time, in all stages of production ..."
Click image to enlarge Renaissance Trail at Columbia Shores, Washington, view looking east. Image taken January 20, 2016. Once part of the Kaiser Shipyard, not-quite-finished ships lined up bow to stern along the shoreline "sea wall". 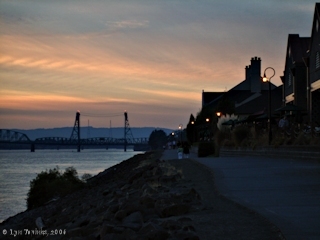 McMenamins Restaurant is just visible as first building on the left. Note the Kaiser Shipyard era "Whirly Crane" in the center background. Once part of the Kaiser Shipyard, not-quite-finished ships lined up bow to stern along the shoreline "sea wall". Note the Kaiser Shipyard era "Whirly Crane" in the center background. 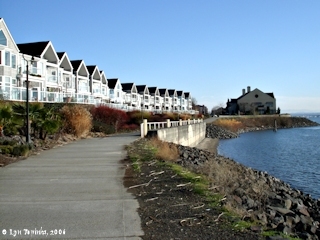 Click image to enlarge Renaissance Trail at Columbia Shores, Washington, view looking east towards Ryan Point. Image taken January 20, 2016. Once part of the Kaiser Shipyard, not-quite-finished ships lined up bow to stern along the shoreline "sea wall". Note the Kaiser Shipyard era "Whirly Crane" in the background. Mount Hood is on the left horizon. Click image to enlarge Renaissance Trail at Columbia Shores, Washington, view looking west. Image taken January 20, 2016. Once part of the Kaiser Shipyard, not-quite-finished ships lined up bow to stern along the shoreline "sea wall". 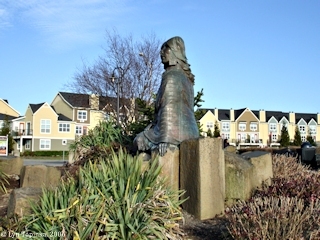 The sculpture "Wendy Rose", a tribute to "Women in the Shipyards" is on the right. On March 30, 1806, as Lewis and Clark were setting up their camp at "Jolie Prairie" the expedition first saw and commented on Mount Jefferson, and gave it the name it has today. 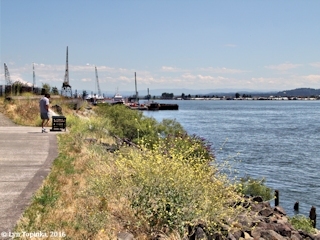 Click image to enlarge Mount Jefferson, Oregon, as seen from across the Columbia River, just downstream Ryan Point, Washington. 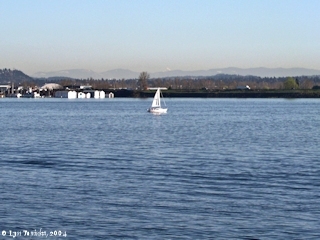 The peak is barely visible right skyline above sailboat. On March 30, 1806, Lewis and Clark first commented on Mount Jefferson, and gave the mountain its name. Rocky Butte, a Boring Lava Cone, is on the left. 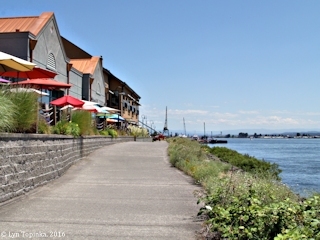 Marina along shoreline is area of old ferry landing. Image taken March 8, 2004. 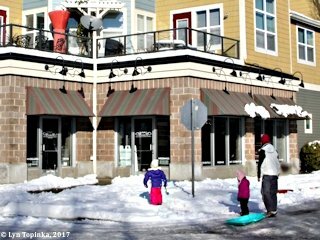 "... discovered a high mountain S E. Covered with Snow which we call Mt. Jefferson. 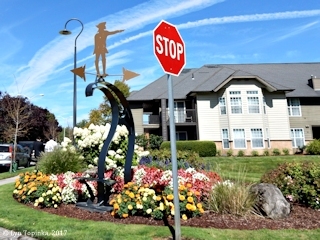 ..."
Click image to enlarge Columbia Shores, Vancouver, Washington. 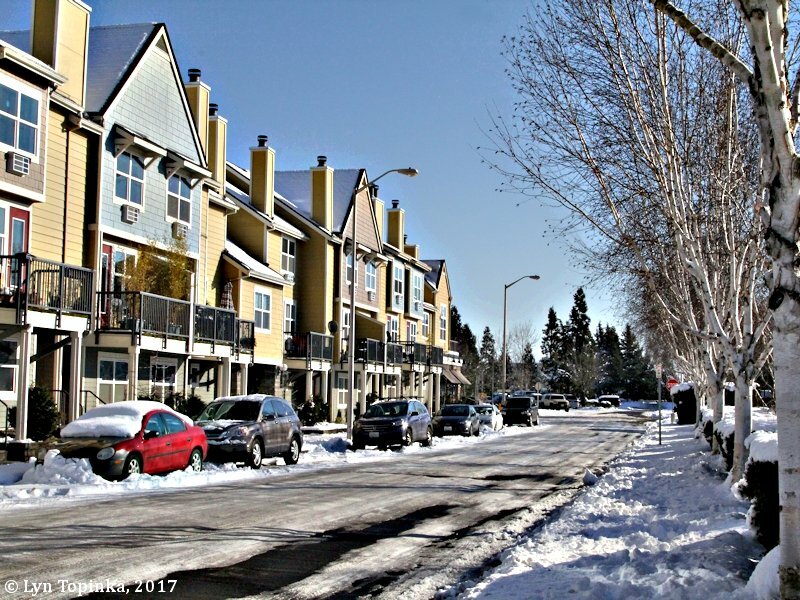 Snowstorm of January 2017, with 10-12 inches in Vancouver and temperatures in the high teens to low 30s. Image taken January 14, 2017. 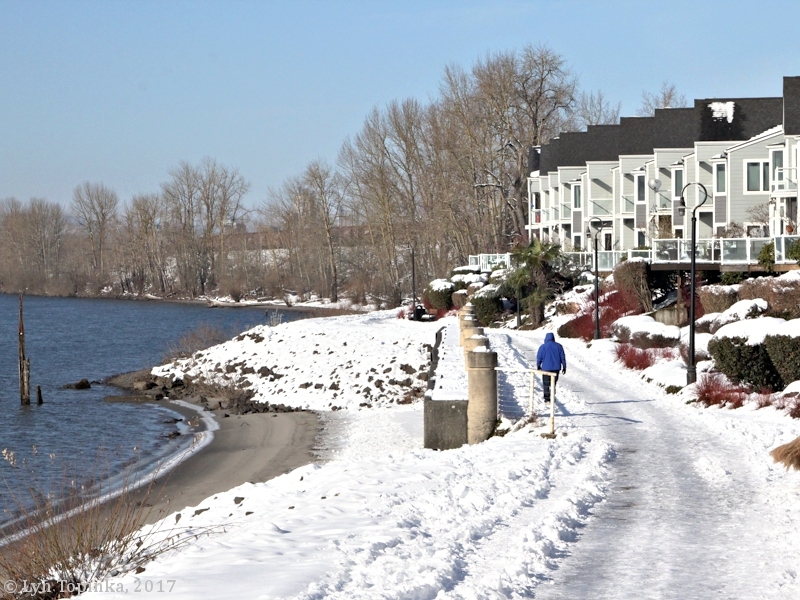 Click image to enlarge Snow, Waterfront Renaissance Trail, Columbia Shores, Vancouver, Washington. 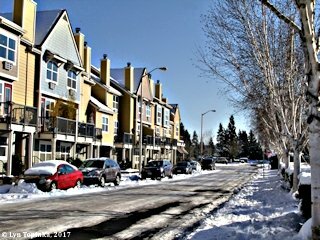 Snowstorm of January 2017, with 10-12 inches in Vancouver and temperatures in the high teens to low 30s. Image taken January 14, 2017. 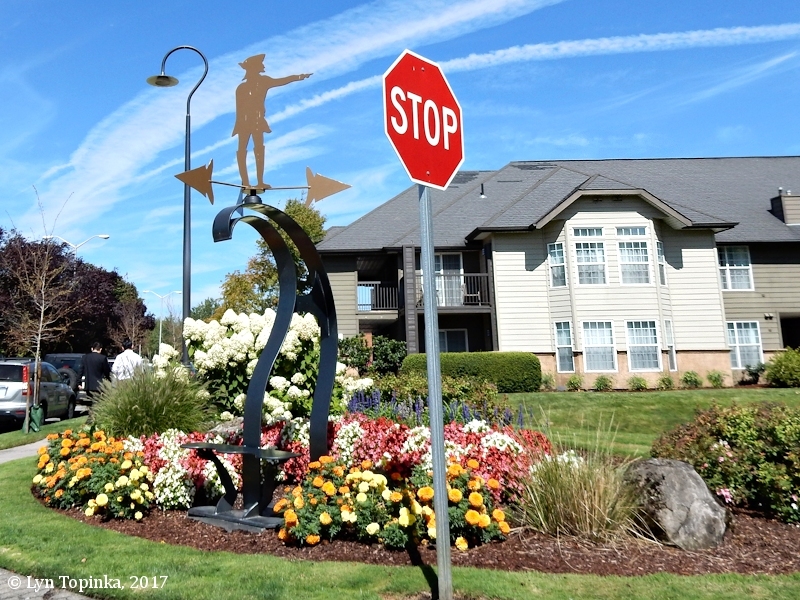 Click image to enlarge Captain Lewis, Columbia Shores, Vancouver, Washington. 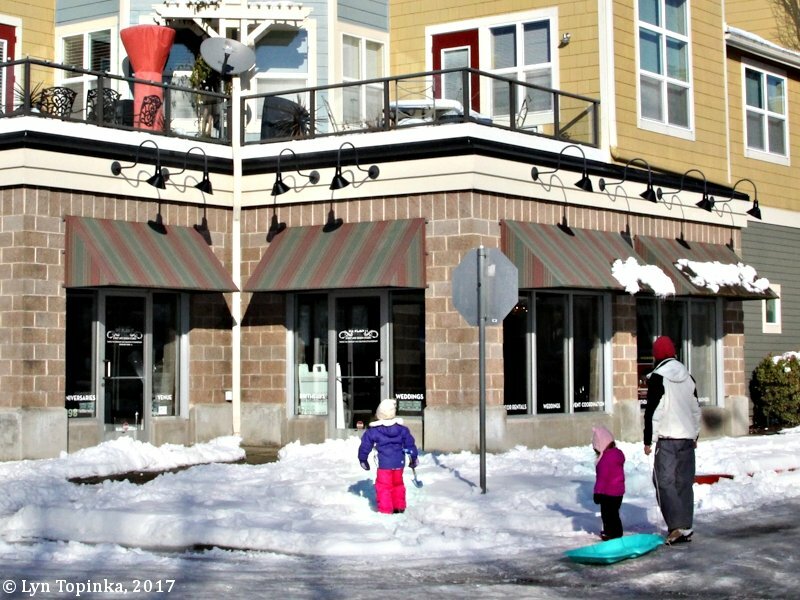 Snowstorm of January 2017, with 10-12 inches in Vancouver and temperatures in the high teens to low 30s. Image taken January 14, 2017. "Wendy Rose" is a 10-foot tall and 5-foot wide stainless steel sculpture located at Columbia Shores along Vancouver's Waterfront Renaissance Trail. 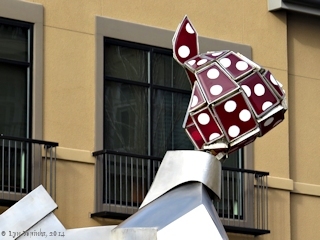 The sculture was designed and created by a group of local artists known as "Women Who Weld". 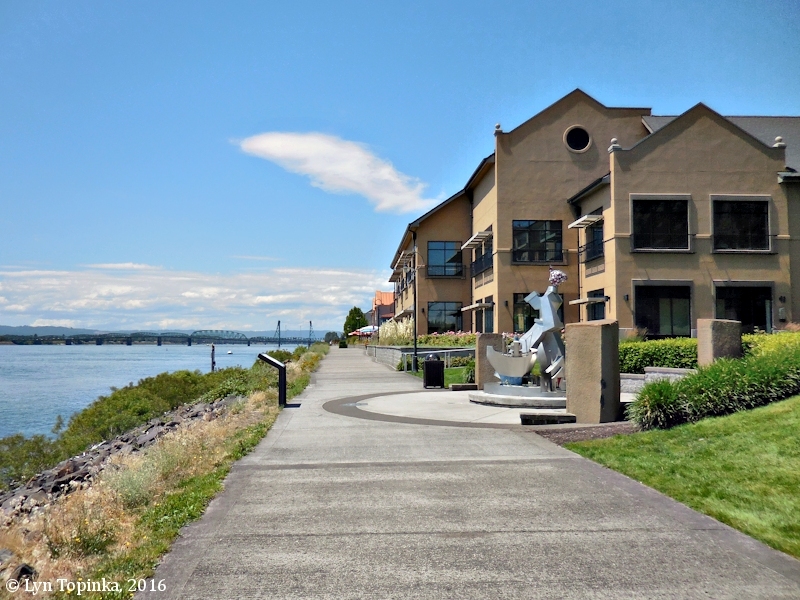 The sculpture sits on land once part of the Kaiser Shipyards at Ryan Point. "... 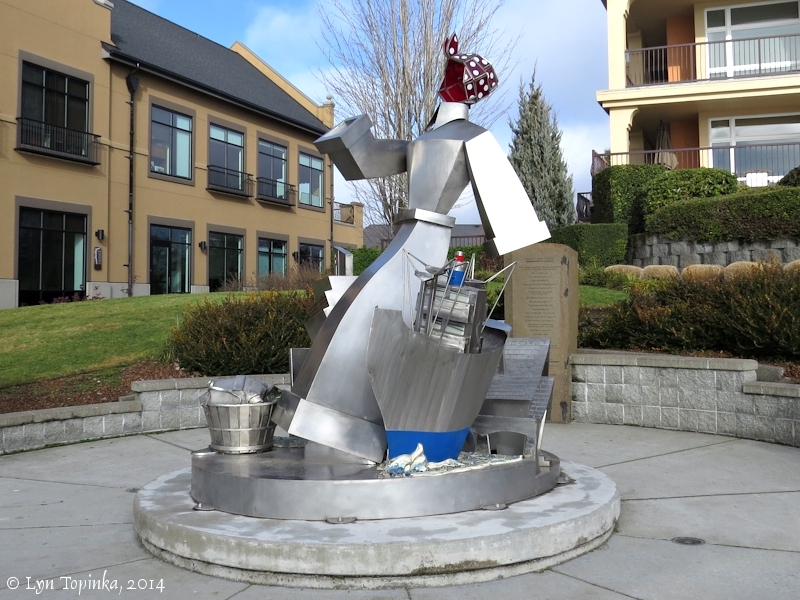 The Wendy Rose sculpture commemorates and honors all those who worked at the Kaiser Shipyards in Vancouver. ... The stainless steel sculpture is shown in work clothes proudly donning a red glass polka dot scarf. 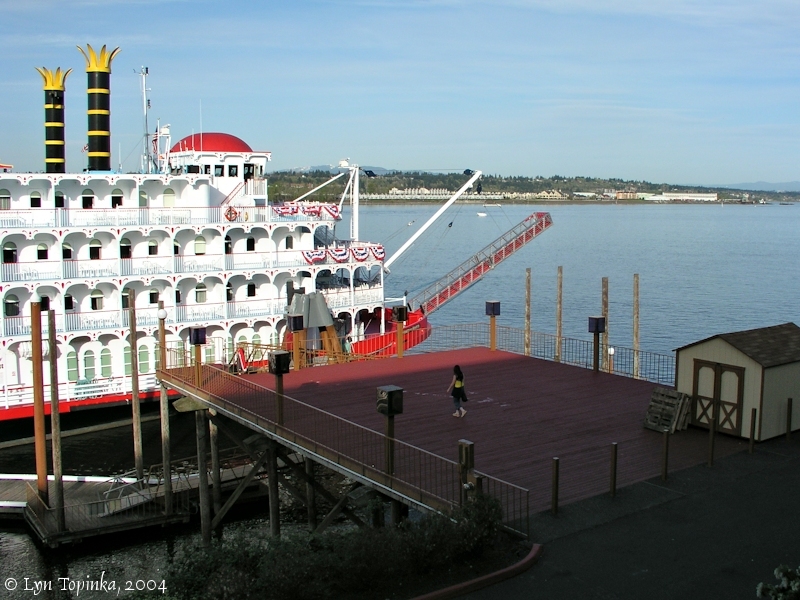 She is seen stepping from the home to the industrial work world and into the future, crossing the dam that powered the shipyards. 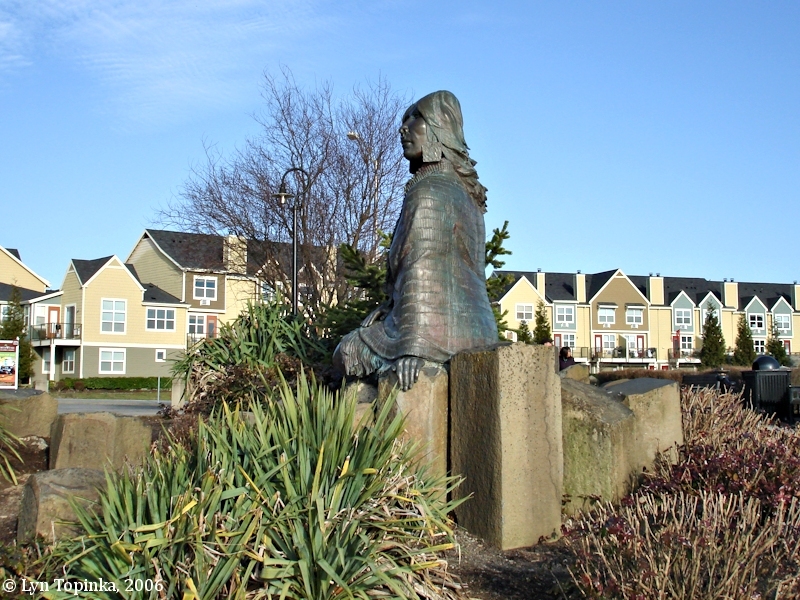 Wendy is surrounded by other local symbols of the era which help celebrate the spirit and legacy of women of WWII. 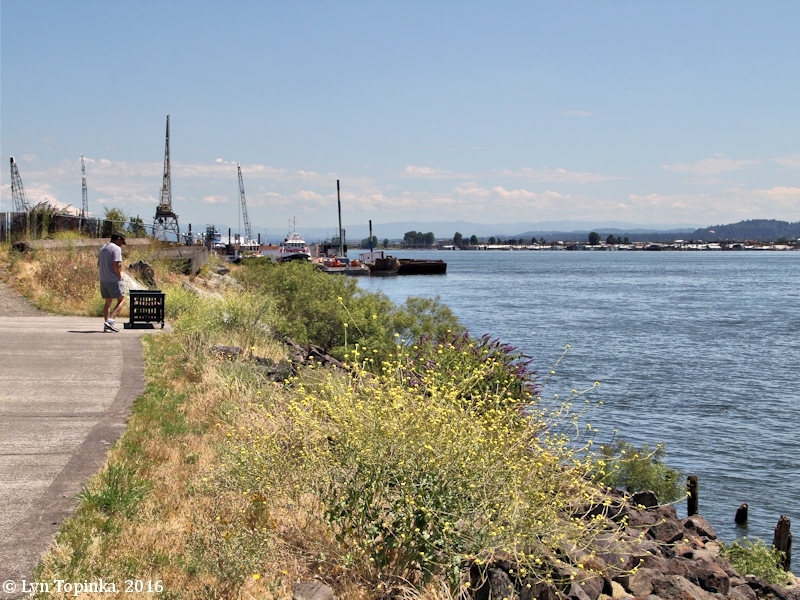 ..."
Click image to enlarge "Wendy Rose", Waterfront Renaissance Trail, Vancouver, Washington. 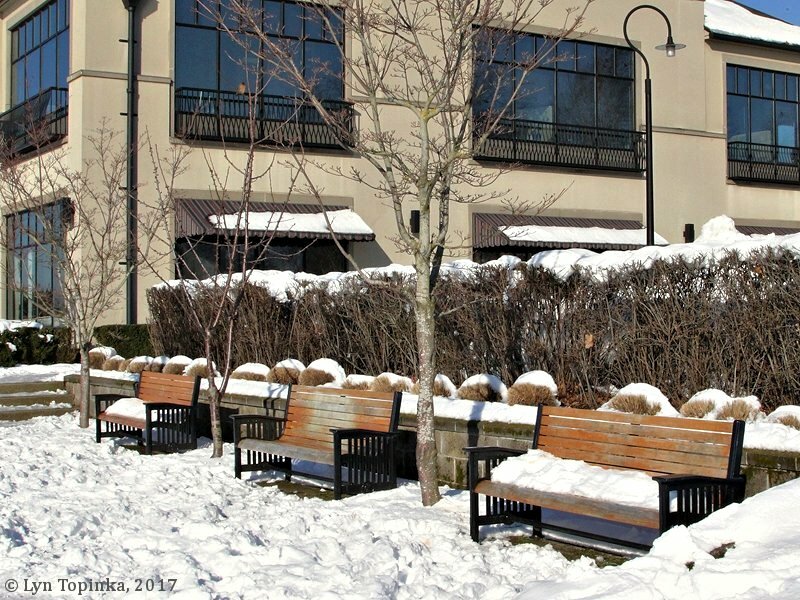 Image taken January 4, 2014. 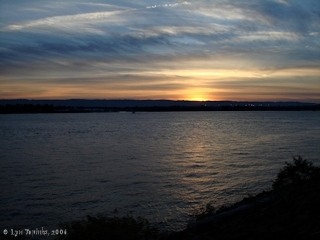 Click image to enlarge Setting sun from Columbia Shores. 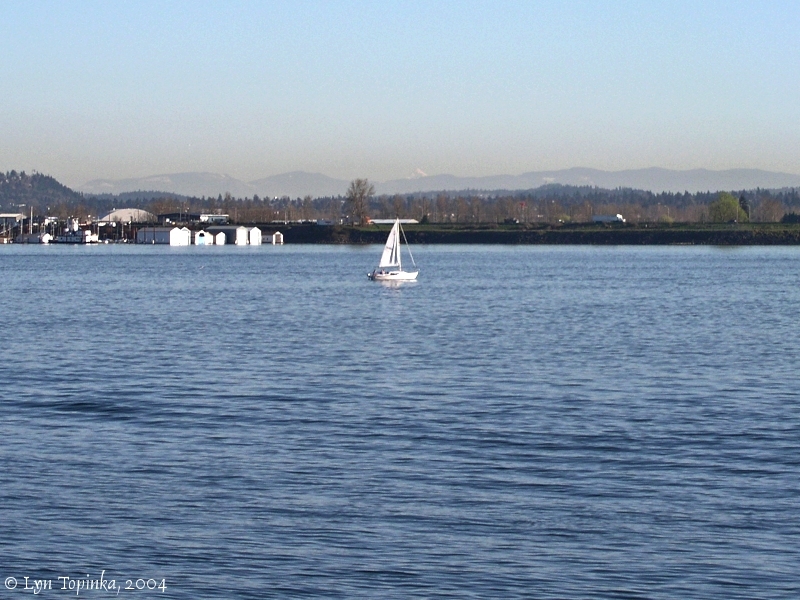 View towards Hayden Island. Image taken October 13, 2006. Click image to enlarge Columbia Shores and Interstate 5, Sunset. Image taken October 13, 2006. We got under way very early in the morning [their camp at Wapato Portage], and had not reached the head of the island [Bachelor Island] before we were met by three men of the Clan-nah-min-na-mun nation one of whom we recognized being the same who had accompanied us yesterday, and who was very pressing in his entreaties that we should visit his nation on the inlet [Multnomah Channel] S. W. of Wappetoe island [Sauvie Island]. at the distance of about 2 M. or at the head of the quathlahpahtle island [Bachelor Island] we met a party of the Claxtars and Cathlahcumups in two canoes; soon after we were met by several canoes of the different nations who reside on each side of the river near this place. Wappetoe Island [Sauvie Island] is about 20 miles long and from 5 to 10 in width; the land is high and extreemly fertile and intersected in many parts with ponds which produce great quantities of the sagittaria Sagittifolia, the bulb of which the natives call wappetoe. there is a heavy growth of Cottonwood, ash, the large leafed ash and sweet willow on most parts of this island. the black alder common on the coast has now disappeared. we passed several fishing camps on wappetoe island and at the distance of 5 miles above quathlahpotle Island [Bachelor Island] on the N. E. side we halted for breakfast near the place we had encamped on the evening of the 4th of November last [near Post Office Lake, Ridgefield National Wildlife Refuge]; here we were visited by several canoes which came off from two towns situated a little distance above us on wappetoe Island. the 1st of these tribes about 2 miles above us call themselves Clan-nah-quah, the other about a mile above them call themselves Mult-no-mah. ... at 10 A. M. we set out and had not proceeded far before we came to a landing place of the natives where there were several large canoes drawn out on shore and several natives seting in a canoe apparently waiting our arrival; they joined the fleet and continued with us some miles. we halted a few minutes at this landing and the Indians pointed to a village which was situated abut 2 miles from the river behid a pond [Vancouver Lake] lying parallel with it on the N. E. side nearly opposite to the Clan-nah-quah town. here they informed us that the Sho-toes resided. here we were joined by several other canoes of natives from the Island. ... : we continued our rout along the N. E. shore of the river to the place we had halted to dine on the 4th of Novembr opposite to the center of Immage canoe island [Hayden Island] where the Indians stole Capt. Clarks tomahawk. here we encamped a little before sunset in a beautifull prarie ["Jolie Prairie"] above a large pond having traveled 23 M. I took a walk of a few miles through the prarie and an open grove of oak timber which borders the prarie on the back part. [today the area of Pearson Field and Fort Vancouver] I saw 4 deer in the course of my walk and much appearance of both Elk and deer. Joseph feields who was also out a little above me saw several Elk and deer but killed none of them; they are very shye and the annual furn which is now dry and abundant in the bottoms makes so much nois in passing through it that it is extreemly difficult to get within reach of the game. Feilds killed and brought with him a duck. ... : The timber and apearance of the country is much as before discribed. the up lands are covered almost entirely with a heavy growth of fir of several speceis like those discribed in the neighbourhood of Fort Clatsop; the white cedar is also found here of large size; no white pine nor pine of any other kind. we had a view of mount St. helines [Mount St. Helens, Washington] and Mount Hood [Mount Hood, Oregon]. the 1st is the most noble looking object of it's kind in nature. it's figure is a regular cone. both these mountains are perfectly covered with snow; at least the parts of them which are visible. the highlands in this valley are rolling tho' by no means too steep for cultivation they are generally fertile of a dark rich loam and tolerably free of stones. this valley is terminated on its lower side by the mountanous country which borders the coast, and above by the rainge of mountains [Cascade Mountain Range] which pass the Columbia between the great falls and rapids of the Columbia river. it is about 70 miles wide on a direct line and it's length I beleive to be very extensive tho' how far I cannot determine. this valley would be copetent to the mantainance of 40 or 50 thousand souls if properly cultivated and is indeed the only desireable situation for a settlement which I have seen on the West side of the Rocky mountains. The morning was fair with some dew. We set out early accompanied by several of the natives in canoes. The river is very high, overflowing all its banks. We passed some villages of the natives on Wapto island, which is about 20 miles long and one broad, but did not halt at any of them. The natives of this country ought to have the credit of making the finest canoes, perhaps in the world, both as to service and beauty; and are no less expert in working them when made. We had a beautiful day throughout, and in the evening encamped on a handsome prairie in sight of a large pond on the north side of the river.